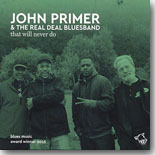 Recorded live in 2015, That Will Never Do from John Primer and the Real Deal Blues Band, marks 30 years of Primer and Wolf Records, going back to his tenure in Magic Slim�s band. The jacket outlines some of that history, but doesn�t say who is on the current recording outside of harmonica player Bill Lupkin. Primer�s impressive guitar and vocals are up front. He has played with the Willie Dixon All-Stars and the Muddy Waters band, as a bandleader, in addition to many years with Magic Slim. He�s also led the house band at both Theresa�s and the Checkerboard. He released his first record under his own name in 1995 and has since been heralded as one of the last of the classic Chicago bluesmen. This live set illustrates why he�s so revered. Opening with a superb take on Little Milton�s title cut, he moves into Muddy�s "Mannish Boy." "Forty Days & Forty Nights" is given a nice take, too, offering his tribute to Muddy. There are also first rate takes on Snooky Pryor�s high energy "Hold Me In Your Arms," Howlin Wolf�s "You Gonna Wreck My Life and Down In the Bottom," Sonny Boy Williamson�s "Cross My Heart," Jimmy Reed�s "Sittin� Here Waitin�," Big Jay McShann�s "Confessin� the Blues," Otis Spann�s "Country Girl," James Oden�s "Take The Bitter With the Sweet,", and Albert King�s "The Time Has Come." Sounds like the song list of everyone�s bar band, right? The difference is that Primer has been playing these songs for decades and that he came up knowing many of the greats who sang them the first time around. This is just one more in the canon of one of the most authentic blues bands in the land. Fantastic! There have been a few knockdown amazing records lately by harmonica masters. Put Wash My Horse in Champagne (Blues Mountain), from Big Harp George at, or at least near the top of that list. George Basharat�s big harp is a chromatic, an instrument that most harpers find cumbersome and difficult to master. In the hands of George it is nothing less than spellbinding. The follow-up to his equally jaw dropping debut of 2014, Chromaticism, this takes the law professor�s shift to full time musician a step further, as each of the 13 cuts herein are from his own pen. As on the previous effort, he�s accompanied by Little Charlie Baty on guitar, Kid Andersen on bass, Chris Burns on keyboards, and Raja Kawar on drums. And, as on the last outing, they are superbly right for the job. The opener, "Home Stretch," is as impressive a tune as you want. Lyrically strong and jaw dropping harmonica work, it opens the door to a 13-song program that impresses and delights. "Road Kill" looks at a relationship that shoulda known better. Baty has a killer solo here. The title cut is percussive and looks at when his ship comes in. "Cool Mistake" opens with drums and harp in tandem on an almost rockabilly tune that features call and response from the band. Dare I say it, fantastic harp work. There are too many bands that put less than impressive singers up front. Big Harp George is a singer that deserves that front man status. "My Bright Future" (�they told me I was special/just need one big break �it�s all downhill from me brother/and it�s clear to me/much as I hate to admit it/my bright future is behind me.�). Piano compliments the fat toned harp. "I Wasn�t Ready" is a laconic in a good way. "If Only" rocks in west coast fashion. Killer horns and guitar dress this one up.� If only I was better at poker/if only I�d drawn a Queen.� Those horns are back with superb keys and guitar on the instrumental Mojo Waltz, a tune that lets everyone stretch. Top to bottom this is the standout recording of the year. Highly recommended. As good as Big Harp George�s 2014 debut album, Chromaticism, was, nominated for a BMA, his follow-up may be even better. Wash My Horse In Champagne (Blues Mountain Records) features 13 tracks written by the prolific harp master (a.k.a. George Bisharat), with backing by some of the West Coast�s premier musicians, including Kid Andersen and Little Charley Baty, who alternate as lead guitarist on these tracks, Chris Burns (keyboards/producer), Raja Kawar (drums), percussionist J. Hansen, Kedar Roy (bass) backing vocalist Loralee Christiensen, and a tight horn section on selected tracks (Michael Peloquin � saxes/arrangements, Mike Rinta � trombone). Bisharat�s primary focus is on the chromatic harmonica, but he eschews the traditional method of most blues harmonica players who use a harp mic, preferring to play with a voice mic, or acoustically. That gives his harmonica a more liquidy tone, a very different sound from most chromatic players. In addition, Bisharat has a fine, soulful, occasionally vulnerable tone to his vocals, which he uses to great effect on the blues ballad, �My Bright Future,� which would have been a perfect fit during the late �40s/early �50s R&B era of artists like Ray Charles or Charles Brown. The opener, �Home Stretch,� finds Bisharat promising to turn over a new leaf after a health scare. The vintage rocker �Road Kill� deals with rejection in love, and features a scorching guitar run from Andersen. The Latin-flavored title track celebrates those who pull themselves up by their bootstraps and overcome adversity to achieve success, and the swinging �Cool Mistake� is a blast. The jazzy �I Ain�t The Judge of You� addresses tolerance of others, and the somber �I Wasn�t Ready� discusses the sudden loss of a loved one. With these tracks and others, Bisharat shows himself to be a talented and distinctive songwriter. 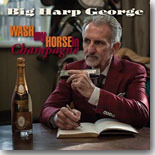 Wash My Horse In Champagne is another winner for Big Harp George Bisharat, who shows himself to be an excellent vocalist and composer, in addition to being a masterful harmonica player. The Mighty Mojo Prophets present their third album of all-original material, this time on their own record label, Mojo King Music. As on their previous releases, Record Store includes 13 originals penned by vocalist Tom Eliff and guitarist Mitch Dow that are simply put, brand new blues the way they used to do them �. pure and simple. The duo is backed by a stalwart rhythm section (Dave DeForest � bass, Al Ricci � drums) and augmented by the keyboards of Mike Malone and Tom Richmond�s old school harmonica. The disc kicks off with a rousing boogie shuffle, �Crazy Love,� then gets down with the funky title track, which will bring a smile to the face of boomers everywhere who spent hours in their local record stores. �Devil At Your Door� and �Things Don�t Change� are a pair of cool Chicago-style shuffles, and �Strong Together� ventures toward the country side of soul. �Workin� Man� is a solid blues that could be a blue collar anthem, and the swinging �West Coast Girl� is a standout. �Cherry Red� is another funky Windy City shuffle, and �Good Girl Train� turns up the funk to �10.� �Spider and the Fly� has more of a rock feel, but is balanced nicely by the vintage harmonica sound. �Bring It On Home� is not the Sam Cooke classic, but a swinging R&B original with a loping rhythm, slick harmonica, and some scorching slide guitar from Dow. �Wondering� will remind listeners of those vintage Excello swampy tracks from the �50s and �60s., and the closer, �All Thumbs,� is a splendid instrumental guaranteed to get toes tapping and heads bobbing. The Mighty Mojo Prophets are one of the more impressive newer blues bands out there, performing all original tunes that give a nod to the traditional blues sounds of yore, but also keep an eye to the present day with their songwriting. Record Store continues their hot streak. While singer/guitarist Eric Bibb was living in Helsinki, he met the Haavisto brothers, drummer Janne and Olli, who played dobro and pedal steel, and mandolin/mandola player Petri Hakala. The quartet began working on various recording projects together and soon began playing gigs as Eric Bibb and North Country Far. 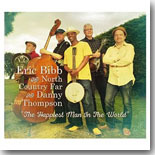 While sharing stories one day, Bibb happened to mention that he knew Danny Thompson, who has played bass for the likes of Alexis Korner, Donovan, Richard Thompson, and Pentangle, and who happened to be one of Olli Haavisto�s musical heroes. Soon, a recording session was born, with Bibb, North Country Far, and Thompson gathering at The Grange Studios in Norfolk, U.K. The Happiest Man In the World is a beautifully crafted album of acoustic country blues and roots compositions. It was obviously a labor of love for all involved; the spirit and enthusiasm is apparent in every note. It deserves a spot in any music lover�s collection. It�s been a while since we�ve heard from Paul Reddick, and the Canadian bluesman�s latest effort, Ride The One, finds him with a new label (Stony Plain Records) and a new, rawer sound. Produced by Blue Rodeo�s Colin Cripps, the new release teams Reddick (vocals, harmonica) with a powerhouse band that includes Cripps (guitar, backing vocals), MonkeyJunk�s Steve Marriner (guitar, keyboards, backing vocals), Greg Cockerill (guitar, backing vocals), Anna Ruddick (bass), and Derek Downham (drums, piano, talk box guitar, percussion). The first two tracks, �Shadows� and �Celebrate,� will definitely grab listeners --- a pair of thunderous blues rockers that threaten to shake the rafters down. The three-headed guitar attack and Reddick�s intense vocals and energetic harmonica surely play a role here. The laidback �Mourning Dove� follows, with a hypnotic, almost haunting feel, and �Gotta Find A�� is a ballad that marries R&B and Southern Rock. The relentless �It Goes With You� ups the energy again with a churning blues groove, and �Watersmooth� rocks out, backed by the Bo Diddley beat. �Diamonds� has an atmospheric, rootsy quality to it, with ethereal keyboards and guitars and an incessant beat, and reminds me a lot of a Daniel Lanois track from the �80s. The blues rocker �Living In Another World� showcases the three guitars with Reddick�s harp and vocals, while �I Tried To Tell You� also rocks but has a bit of a pop sheen. �Love and Never Know� features a subdued, but soulful vocal from Reddick, and the closer, �Moon and Star,� is a solo blues track with just Reddick�s voice and harp. Cripps� production is top notch, giving the whole recording a rough and ragged feel. Reddick�s vocals are fantastic. Occasionally, he sings through the harp mic and the distortion gives his voice even more intensity. His harp playing is equally effective and the triple guitar attack suits him just fine. This is just an outstanding release all the way and a nice start to Reddick�s hopefully lengthy tenure with Stony Plain. For his third solo album, Upset The Status Quo (Jukehouse Records), Alabama Mike (Michael Benjamin) wisely headed to Kid Andersen�s Greaseland Studios in San Jose. Andersen, who produced the disc and played guitar and keyboards, is obviously one of the hardest working men in show biz these days, surrounded Mike with some of the West Coast�s biggest musical talent, and let the charismatic Alabama-born / Bay Area-based singer/harmonica player do the rest. Alabama Mike is one of the most expressive singers in the business, possessing a huge tenor that marries blues, soul, and gospel. He penned eight of the 11 tracks, which take a lighthearted and occasionally pointed look at modern issues that affect us all. The title track has a healthy dose of Chicago blues in its delivery with Aki Kumar providing some superlative harmonica backing Mike�s fiery vocal turn. �Identity Theft� is a quirky R&B tune with �70s era funky guitar and a nice sax break from Bernard Anderson. 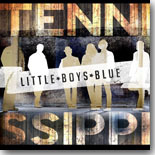 �M-I-S-S-I-S-S-I-P-P-I� is a raucous blues praising downhome life in the Magnolia State, and the downhearted �Can�t Stay Here Long� recounts a return visit to Alabama. The soulful �Fight For Your Love� encourages perseverance through tough times in relationships, and leads to one of the more unusual tracks on the disc, �Restraining Order,� definitely a different take on a rocky relationship. �SSI Blues� is a stomper about how much a little extra money can help a man get by, and on the inspirational closer, �God Is With You (Benediction),� Alabama Mike pulls out all the stops and pours his heart and soul into this original gospel tune. 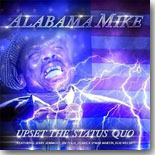 Upset The Status Quo also includes three covers, a funky reworking of Jimmy McCracklin�s �Think,� John Lawton�s �Rock Me In Your Arms,� and Little Johnny Taylor�s �Somewhere Down The Line.� Alabama Mike has one of the most distinctive voices in the blues, dripping with soul, grit, and passion ..... you�ll know it�s him when you hear him. The man means every word that he sings from the bottom of his heart. It�s almost like he lives the blues himself every day. Soon to turn 18 years old, Chase Walker started playing guitar at age 10, proving to be a prodigy almost immediately afterward. 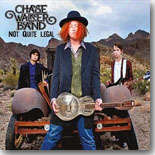 In 2012, he began to write songs and formed The Chase Walker Band at the ripe old age of 13 with bassist Randon Davitt and drummer Matt Fyke. So far, the band has logged over 150 performances, appearing at the 2013 and 2014 IBC Showcase, and opening for acts like B.B. King, Eric Sardinas, Tab Benoit, Devon Allman, Cyril Neville, Kenny Loggins, and American Idol�s Casey Abrams. 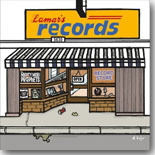 On their second release, Not Quite Legal (Revved Up Records), the band rocks vigorously on tracks like �Done Lovin� You,� �The Walk,� �Changed� (written and sung by Davitt) and �Livin� On Thin Ice,� but are equally comfortable on the blues side of the track, too, with tunes like �I Warned You,� �A New State of Mind,� and the amusing �Cold Hearted.� Another standout is �Don�t F It Up,� a slower tempo track life lesson from an old guy�s perspective, and �It�ll Pass,� a ballad about looking to better times. It�s hard to believe that the members of this band are 18 and under. The musicianship is one thing, and it�s a big one --- these guys can PLAY --- but Walker�s songwriting and vocals are developed well past his years, too. They don�t just play the blues, but they have they put their own special spin on the blues, and its much closer to being fully realized than you would imagine, given their youth. This is an artist, and band, that you will be hearing much more from in the future. The Nashville-based blues duo Markey Blue struck it big with their 2014 debut release, Hey Hey, with several tracks gaining spots on TV, with one being featured in a motion picture. They were also nominated for the Blues Blast Music Awards in 2015 (and again this year in 2016) and advanced to the semi-finals in this year�s I.B.C. in Memphis. Singer Markey and guitarist Ric Latina create a rich sound, which combines the blues of the Mississippi Delta and Chicago with Memphis soul. Their performing and songwriting talents are on full display on their brand new release, The Blues Are Knockin� (SoulOsound Records). As noted, the duo tackles a variety of blues styles. The opener, �I�ll Wait For You,� features Markey�s fiery vocal fueled by Latina�s Delta-styled slide guitar, while �That Ain�t Good Enough� is a tough blues rocker. �Cold Outside� is a greasy Memphis slow cooker with B3 and horns supplying a nice backdrop. The gritty �Cash Is Always King� rocks with a funk edge, and the title track is a moody blues ballad. The next two tracks pay tribute to two of Markey and Latina�s influences (not to mention lots of other past and current blues artists); �Be My Train� salutes the late Little Milton Campbell, with some sharp Little Milton-inspired fretwork from Latina, and �Lay Down Lucille� is a cool Texas shuffle dedicated to B.B. King, with more tasty string bending. �Nobody�s Fool� is a straight-up soul testimony with a powerful vocal from Markey, and �Me Missing You� is a tender ballad with another great vocal take. The closer, �Worries,� is a sweet, slow blues with some nice moments from both Latina and Markey. 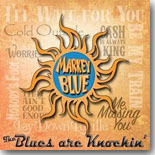 The Blues Are Knockin� is an excellent follow-up to Markey Blue�s debut release. It features well-crafted songs and showcases two of the most exciting performers currently in the blues world. 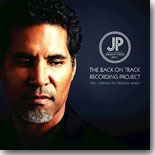 In 1996, Jordan Patterson released his promising debut, Give Me A Chance, to winning reviews and it looked like the singer/harmonica player was a star on the rise, as he began touring clubs and festivals, sharing the stage with such luminaries as James Brown, Carlos Santana, Robert Cray, Son Seals, and U.P. Wilson, who recruited Patterson and band to play on his 1997 disc Whirlwind. Then, Patterson decided to give it up, becoming a concert promoter and managing artist tours back home in his native Ontario, working for artists like Brittney Spears, Jack White, Lauryn Hill, The Black Crows, and Coldplay for the next 15 years. In 2014, Patterson began playing live again, and released an EP which did so well that the artist decided to expand it into a ten-song full-length disc. The Back On Track Recording Project (Flaming Cheese Records) proves beyond all doubt that Patterson�s first album wasn�t lightning in a bottle. Patterson wrote all ten tunes and they mix the blues with funk, R&B, and rock. From the opening notes of the relentless rocker �Favourite Boy,� it�s clear that Patterson hasn�t lost a second off his fastball with Patterson ripping it up on harmonica, backed by a double-barreled guitar attack from Darryl Romphf and Bobby Thompson. Patterson�s soulful vocals are the main attraction of the sweet ballad �Can We Fall In Love Again,� and his harp is at the forefront of the boggie track �She�s Cool.� �You�re My Girl� is a first-rate pop ballad, and �Living Without Your Love� delivers the funk in fine fashion. �Play M y Song� is another solid rocker, with guitarist Shawn Kellerman guesting (one of three appearances). The slow grinder �If You�d Help Me Please� includes some impressive fretwork from Romphf and Thompson and harp from Patterson and �Do You Believe� is a smooth, catchy pop rocker. The blues rocker �Heartbreaker� and �Don�t Take Me Down� (both featuring Kellerman) close out this excellent return effort from Patterson, who hopefully will be making up for lost time now that he�s back on the blues scene again. The band KALO was formed in Oklahoma City in 2012. Singer/guitarist Bat-Or Kalo fell in love with a Jimi Hendrix cassette as a youngster and that led her on a musical path from her native Israel to Mississippi to take in the music of the south and eventually to Oklahoma City University, where she teamed with bass player Mack McKinney. KALO made the semi-finals at the 2016 I.B.C. and are touring throughout the southeastern U.S. behind their 2013 release, Dear John. Bat-Or Kalo is an intense singer and guitarist, and that�s obvious from the first notes of the title track, which opens the disc. Her emotional vocals and jagged guitar runs, backed by McKinney�s hypnotic bass, convey the pain and loss of a jilted lover. �Treat Me Bad� has more of a pop foundation and a really catchy melody with another strong vocal. �Marching To The Light� sounds like a modernized brand of Mississippi blues with the marching rhythm on the drums, but also mixes interesting percussion with banjo (courtesy of Jon Knudson) and a bit of European flair. �Oh Father� is a frenzied blues rocker with a fierce guitar solo from Kalo, and �Blue Chevy� incorporates a bit of country into a pop/rock mix. �Looking For Me� is a nice slice of Americana, with more banjo from Knudson, and �Once I Had A Heart� is a bone-crunching rocker. �Like It Or Not� is a cool boogie blues reworking of the Madonna song, and the heartbreaking closer, �Can�t Sleep At Night,� ends things on a high note. Kalo and McKinney receive fine support from Knudson, who also plays fiddle, piano, and keys, Erin Nelson and Mike McCraw (drums), and Todd E. Clark (harmonica). Dear John has been available since late 2013, but it certainly deserves to be heard by a wider audience. 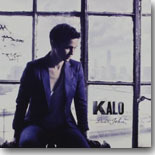 KALO mixes the blues with a variety of American genres and Dear John should appeal to a variety of music fans. 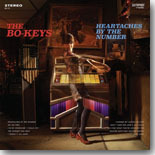 The Bo-Keys latest release, Heartaches By The Number, is their first in five years and the first without guitarist Skip Pitts, who passed away in 2012, and Ben Cauley, who died in 2015. During their history, the band has gradually moved from an all- or mostly-instrumental group to using a series of vocalists, usually vocalist Percy Wiggins. This time around, the Bo-Keys take on a collection of country music classics (and �shoulda been� classics), giving them the full Memphis soul treatment, and the results should be satisfying to fans of either genre. The band covers all-time favorites such as the title track, made popular in the late �50s by Ray Price and lovingly rendered here by Stax legend Don Bryant, Hank Williams� �I�m So Lonesome I Could Cry,� Freddy Fender�s �70s hit �Wasted Days and Wasted Nights,� and Floyd Cramer�s �Last Date.� They also mix in lesser known gems from Merle Haggard (�The Longer You Wait�) and Bob Dylan (�I Threw It All Away,� from his Nashville Skyline album). There�s also �Don�t Take Her (She�s All I Got),� a song from soul songwriter Jerry Williams (a.k.a. Swamp Dogg) that was covered by country hitmaker Johnny Paycheck, which shows how thin the actual line is between country music and soul music. Bo-Keys leader Scott Bomar also contributes two new songs, �I Hope You Find What You Are Looking For� and �Learned My Lesson in Love,� that blend the two genres seamlessly. Vocalist Wiggins does a superlative job on these songs and the band is marvelous, successfully recapturing the glory days of southern soul labels like Stax and Hi Records. Soul and country music fans will find a lot to love with Heartaches By The Number, a wonderful listen from start to finish. The right Reverend Freakchild returns to the music scene with a massive 3-CD collection called Illogical Optimism (Treated and Released Records), a fun and fabulous set of tunes that�s sure to please fans of multiple genres, but most especially the blues. The NYC-based Reverend is a singer of note and a guitarist of formidable talents, especially when he pulls out his slide. He�s also a gifted tunesmith and creative interpreter of others� songs, and both talents are on full display in this collection. Disc One is subtitled �Odds, Ends and Other Amazingness,� and it consists of a mix of new songs and additional tracks from the �Freakchild vault.� A mix of original tunes and re-imagined covers, this is a spellbinding set of tunes, with the Reverend working his magic on classic songs of various genres (John Lennon�s �Imagine� and �Yer Blues,� Dylan�s �All Along The Watchtower,� �Hey Pocky A-Way,� Bo Diddley�s �Who Do You Love,� �See That My Grave is Kept Clean,� �Hellhound On My Trail�) along with gospel tunes taken in various styles (�I Still Have Joy,� �Cryin� Holy Unto The Lord,� �Working On A Building� combined with �Plastic Jesus�). You can�t help but be impressed with the Reverend�s imagination and creativity on these songs. It�s just a fun disc to listen to. There�s plenty of great music on these three discs. If you�ve not experienced the musical talents of the Reverend Freakchild, do yourself a favor and pick Illogical Optimism up and give it a spin. You can thank me later. Come and Get It (Juke House Records) is a fine 5-song EP that will introduce blues fans to the formidable talents of Queen Delphine and the Crown Jewels. Queen Delphine (a.k.a. Harriett D. Ellis) is a big-voiced blues singer in the traditiion of Big Mama Thornton and Koko Taylor, and she�s backed by a tight band that includes Steven Weakley (guitar), Ezra Bufford (keys/arrangements), Keith Strong (drums/percussion), Norman Hamilton (harmonica/guitar), Lester �Lammy� Johnson (bass/producer), and background vocalists Shawna Footman, Darla McCallum-Campbell, and Loriana Campbell. The EP includes four original tunes, written by Ellis and her husband Lee, and one smoking cover of Koko Taylor�s �I�m A Woman.� The originals cover a broad range of blues-based genres. The opener, �My Cat Got Nine Lives,� is a funky bit of southern soul blues and the tender ballad �What Would I Do� mixes blues and R&B with jazz underpinnings. The rousing �Kindness For Weakness� has a gospel feel, and the closing track is an instrumental, �Lammy�s Blues,� that gives the band a chance to shine. From this brief glimpse, it�s obvious that the Queen has a fine voice and is comfortable in a variety of styles. The Crown Jewels do an excellent job in support. 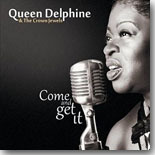 Come and Get It is a very good, though short, set of traditional and modern blues that will leave listeners wanting to hear more from Queen Delphine soon. It�s hard to believe it�s been 10 years since I reviewed John Long�s first album for Delta Groove, Lost & Found. That release garnered John a Blues Music Award nomination for Acoustic Album of the Year and brought this Colorado Bluesman national acclaim and attention for his efforts. John is back with a new disc for Delta Groove, Stand Your Ground, and his style is rooted in the traditions of old, those taught to him by his mentor, Homesick James, and other Bluesmen who called Chicago home during the glory days of Chicago Blues. As Zack Zunis is quoted in the liner notes, �If you wanted to make an argument for reincarnation, John Long is it.� Much of the new record is just John with his harmonica, guitar and suitcase for a stomp box, augmented by appearances from Fred Kaplan on piano; Bill Stuve on upright bass and Washington Rucker on drums. Most of the cuts are first takes and all are recorded on analog tape for the Vintage feel of the era that John�s music harkens back to. John�s harmonica is front and center for our next tune, �Things Can�t Be Down Always.� Here John is advising his friend to change his ways, �Got to stay away from the fast living�staying late at night�and you come home and you want to�fuss and fight�I�m going to tell you something�yes, your life is in a haze�Grandma tell you right now�things can�t be down always.� Attitude is a huge factor in how we live our lives and will see us all through the tough times. The title track, �Stand Your Ground,� is next and John�s sharing the wisdom he inherited from his father. �Stand your ground�don�t give up and don�t give in�stand your ground.� When things get tough, stand your ground. �Welcome Mat� finds John setting the rules on how he�s going to be treated in his own house. �Well, now�tell you, Mama�I ain�t going to go for that�Mama, ain�t going to go for that�I�ll tell you�because in the woodpile�I smell a low down and stinking rat.� John�s woman has a lover on the side and John isn�t going to be a welcome mat and stand for that. John blows a beautiful harmonica intro for our next track, �No Flowers for Me�. Here John has Parkinson�s disease and is directing his boys as what to do at his funeral. �Don�t want no flowers�I want you to�remember me�no flowers�and no sad songs�.I�ll feel better�with my spirit set free.� He wants the money they would spend of flowers to go to �help find a cure for that dreaded Parkinson�s disease.� Well done, John, and truly a noble gesture on your part. John segues on to another spiritual, �Precious Lord, Take My Hand,� before closing out this disc with �Suitcase Stomp.� �Suitcase stomp�got to go�I�m a leaving, baby�done did what I want�where I�ll be leaving St. Louis�doing that suitcase stomp.� John�s been to St. Louis, he�s had his fun, and now it�s time to go. It�s been refreshing to hear John Long�s new disc and it still amazes me that 10 years have passed since I was first exposed to his music. He�s truly an American legend and a throwback to the early days of Country Blues, carrying on the traditions he learned from Homesick James. John�s schedule can be found on his website at www.johnlongblues.com. if you�re a fan of Country Blues, grab both of his Delta Groove discs for your collection. There aren�t many Bluesmen out in the world today doing what John does and he deserves to be revered and appreciated. I�m the first to admit that Little Boys Blue are a new band to me, but I like these guys from Jackson, Tennessee. They placed 3rd at the International Blues Challenge long before I started volunteering, and I know that I�m old, but their Vizztone disc, Tennissippi, was recorded at Fame Studios in Muscle Shoals, Alabama --- that�s enough street cred for now. Let�s give their new disc a spin. JD Taylor�s harp, along with some wicked guitar from Brad Webb, provides the intro for the title track, �Tennissippi�, and according to JD, �It�s when two states of mind collide�she�s in a Volunteer mood with some Rebel pride.� That�s as good of a description as I could ever hope to provide and I like the Southern Blues feel from Little Boys Blue. Little Boys Blue has two excellent guitarists, Rex Taylor and Tyler Goodson, and I hear both in my headphones as JD sings about a woman he loves and desperately misses in �Lights On.� �I drive by your front door�.pull in the driveway�pound on your front door�I can see the lights on�nobody�s home.� Dave Thomas�s B3 is purring in the background and JD�s a broken man, losing the woman he truly loved. We move on to �Pack It Up Baby� and here JD is talking about his woman who�s evidently out on the town, �You�d better pack it up, baby�you�d better pack it up, mama�and bring it on home to me.� This is a lively tune and I appreciate the musicianship of a veteran band that�s been together since at least 1997. JD�s harp provides a mournful intro to our next track, �If I�da Known,� before Dave�s B3 comes in behind him. Here we find out JD bemoaning the way his relationship ended. �You hurt me pretty mama�deep down in my soul�I had love for you pretty baby�and so much more.� I�m not completely sure why JD�s relationship ended, but it�s evident that he wished he had played it a different way. You can�t win them all my friend; mistakes are what make us all human so I�ll wish you well next time. �35 Years� is the first ballad on the disc and the B3 comes in nicely after a sweet drum intro from Mark Brooks. Here we find JD celebrating the longevity of the relationship he�s in. �It�s been 35 years in the making�and that�s making real, good love�.good, good love.� A passionate guitar solo fills in behind JD and it�s obvious he�s found himself a good woman to walk life�s path with. Up next is �Chitlins Con Carne� and it�s a Southern thing. A hauntingly beautiful instrumental and definitely a surprise to me in the context of what I�ve heard so far. JD�s back with a harp intro for �Do You No Wrong� and we�re back to classic Little Boys Blue. JD�s wooing a woman he�s got his eye on and he�s sincere in what he�s telling her, �Baby�let me take you in my arms�and if I take you home�I won�t do you know wrong.� Sounds like a Southern gentleman through and through, so perhaps JD has a chance here. The harp intro for our next track, �Smoke Rings,� is very mournful and heartfelt, setting the stage for what has to be a painful moment. �When I saw you, Baby�way across the room�you�d remind of�good things we used to do�right now�I see the smoke rings on your cigarette, Baby�and it reminds me�Love�gone up in flames�good Love�gone up in flames.� Unfortunately for JD, this is one love that just didn�t work and the pain of what he lost is still haunting him, every time he sees the woman he loved sitting right across the bar. �Health Insurance Blues� is up next and I�m curious to see what JD comes up lyrically here. �I got a pre-existing condition�I�ve got them lovesick blues�and the Doctor, he done told me, �Man, things ain�t good for you.� No health insurance and lovesick, too? Sounds like a recipe for disaster for JD to me. You�ve got to hand it to JD, he�s a lover through and through, and we hear it on our next track, �Wanna Be Your Loving Man.� �I want to ask your Daddy�for your loving hand�I want to have a happy home, Baby�want to be your loving man.� JD is nothing if not persistent and let�s hope the answer is yes on both counts. �Big Pimpin Sugar Daddy Romeo� is the next tune and the rhythm section of Mark Brooks on drums with Dave Mallard�s bass set the tone for the tune. JD is living good and living big, �And when she walks through the door�with a big smile on her face�she says, Hey there�Sugar Daddy�how was your day?� �You�re my big pimpin Sugar Daddy Romeo.� Plenty of money, a big old Cadillac, it�s easy to see how JD is enjoying the life he�s leading. JD and most of the band live around Jackson, Tennessee, and the final cut on their record, �Jackson�, is a tribute to their home town. A jumping instrumental with plenty of harp, guitars and the works, it�s a perfect homage to the place they call home. Little Boys Blue surprised me with their disc, Tennissippi, but it�s a classic record from a band that clearly enjoys its own company and plays their butts off at the same time. It is definitely a healthy serving of Southern blues with just the right amount of soul thrown in for good measure. I�m really hoping to catch these guys in Memphis the next time I head to the Bluff City. These Southern gentlemen have a band site set up at littleboysblue.bandzoogle.com and that is definitely the place to go for all things Little Boys Blue. Tennissippi is a fun disc and one that I�ll definitely be playing again real soon.